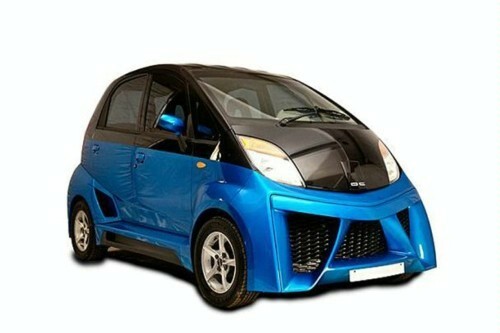 It was touted as the world's cheapest car at 2,000-dollars apiece, but a new version of the snub-nosed Tata Nano will be available soon at a price closer to that of a top-end Ferrari or Porsche. Mumbai-based firm D.C. Design says it is refitting the 3.1-metre (10.23 feet) five-seater hatchback, doing away with its plastic seat coverings, small wheels and single-dial dashboard. The car's basic silhouette will be retained, but everything else will go in the new 220,000-dollar bespoke models that will have a top speed of 200 kilometres (124 miles) an hour, double that of the original. A prototype is expected in two months. "Our hallmark is high-technology products," said Dilip Chhabaria, head of D.C. Design, a specialist car refitting group that has worked for Bollywood stars and other wealthy drivers. "We would like to keep the cost low but with the technology and the amount of work we will be putting into the car, the 10 million rupee (220,000 dollars) price tag will be justified," Chhabaria said. "There will be a lot of tech wizardry in it, plenty of IT-enabled equipment," he said. The standard two-cylinder 624cc, 33-horsepower engine will be replaced by a 1600cc engine and the car will roll on bigger 20-inch (51 centimetre) wheels. To accommodate the new muscle under the bonnet, the back seats will be stripped out. D.C. Design, which counts Bollywood stars Shah Rukh Khan and Anil Kapoor among its clients, will accept suggestions from clients "on colours and trims but not in terms of interiors or technology," Chhabaria said. "We will be reworking the brakes and suspension systems to take the load off the engine. The idea is to give the world a feel of what India's IT and automotive industries are capable of when working in synergy," he said. Given the prohibitive price tag, D.C Design intends to work on only two to five cars a year ordered by the wealthiest resident and overseas Indians capable of paying more than 100 times the price tag for the basic car. "I would expect people from Bollywood to be interested in this project, but I think generally it will be people who have a passion for cars," he said. The New Delhi auto show is underway this week where international auto majors are unveiling a slew of affordable cars designed to lure customers in Asia's third-largest car market. The Nano, christened to connote the combination of small size and low cost, is the showcase product of India's diversified Tata group, which bought Jaguar and Land Rover from US giant Ford Motor for 2.3 billion dollars two years ago. "I would expect people from Bollywood to be interested in this project, but I think generally it will be people who have a passion for cars,"
You're so lame, You make meera look cool! Good to see Anil Kapoor and SRK optt for it first. The car looks like Darth Vader's helmet. A big joke. Now thats a real Repost ! i read it tried to understand it alot mgr pata nae kiu sar se guzar gaya can some body tell me wat does it actualy means. have they even sold any nanos yet??? ^^lolz why he will buy it.>??? hmm i didnt understand either..!!! Another well thought out marketing strategy by Indians. Imagine over 1.1 billion people who practically "worship" Bollywood idols like Shahrukh, Anil Khan or some other; imagine if even half of those people run to buy a Nano simply because their idols drive it. You do the math. It is not the matter of $2000 or $200,000 , but the diversity in the engineering and tech, the nano alreay made waves in all of the world to provide car in a motorcycles price in the regions harsh weather. No body befor india genuinly explored this market segment, most probably only Volks Wagon with beattle.. Showing capability in engineering and technology comes as a by-product but don't forget its all about the money in the corporate world. Ohhhh woww....It's so beautiful....what a showcase of technology...brilliant!! !